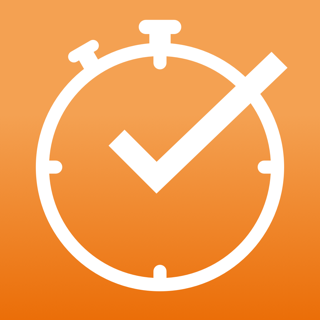 With onexma you get your expense reports in no time. Companies only need one tool for their worldwide field service, sales force and branches. 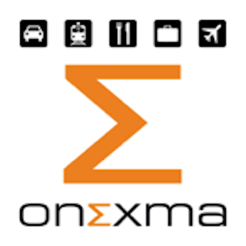 Onexma uses an automatic mileage calculator with miles and kilometers, individual by location or user. 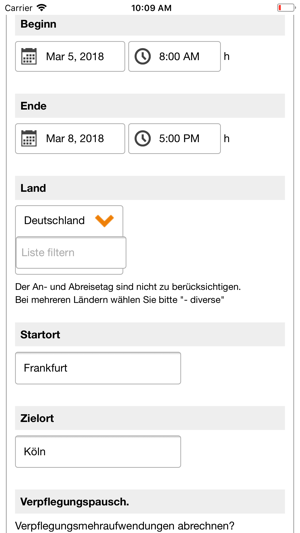 We support the Austrian and German expense regulation (Reisegebührenverordnung) and your individual company policy too. 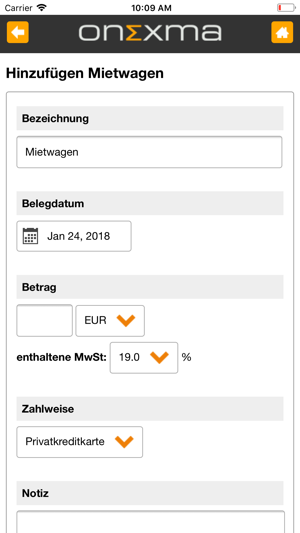 Export to Excel, csv, PDF, DATEV and Lexware. 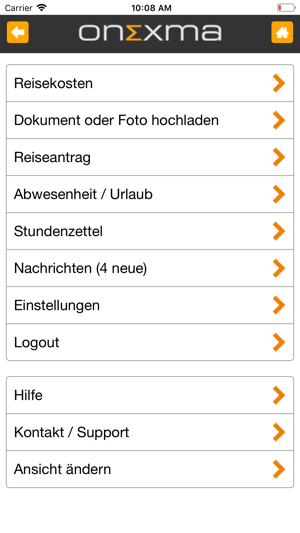 This app is easy and helpful to enter and submit all expenses to our office manager and syncs across all devices. Works in US, UK and Europe (English and German), really great! A real great tool it is, i use it and enjoyed it very much, thank you developer.